As global leaders in science, politics, and business gather in Stockholm this week to take on challenges of food and health, they confront a landscape markedly different from past decades. Before 2000, generations of donors responded to statistics and stories about undernourished children in Asian and African countries. We recall concerts to benefit Bangladesh and earnest appeals to aid Biafra. 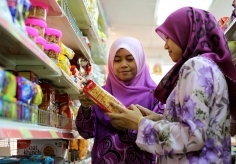 While undernutrition remains high in many countries, research by the Institute for Health Metrics and Evaluation (IHME) at the University of Washington has revealed that the components and quantity of what people are eating worldwide are becoming an even larger problem. 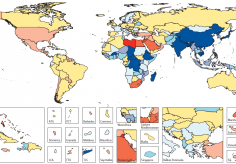 The collaborative Global Burden of Disease (GBD) study, led by IHME, finds that while malnutrition has successfully been cut globally by two-thirds since 1990, poor diets are contributing to rising rates of obesity and other health-damaging conditions, notably, diabetes and heart disease. 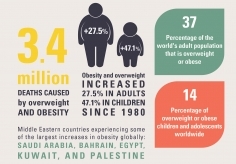 At the first annual EAT Stockholm Food Forum, IHME Director Dr. Christopher Murray will share soon-to-be-published findings that show substantial increases in overweight and obesity worldwide, for both adults and children, in 188 countries over the last 33 years. The implications of this research will be examined by a roundtable featuring Richard Horton, Editor-in-Chief of The Lancet; Christine Kaseba, First Lady of Zambia; Jonas Gahr Støre, Member of the Norwegian Parliament; and Camilla Stoltenberg, Director of the Norwegian Institute of Public Health. IHME’s continuing research in the Global Burden of Disease contributes to this forum and other interdisciplinary efforts with the common goal of sustainably feeding a healthy world population.